We examine the computational complexity of testing and finding small plans in probabilistic planning domains with both flat and propositional representations. The complexity of plan evaluation and existence varies with the plan type sought; we examine totally ordered plans, acyclic plans, and looping plans, and partially ordered plans under three natural definitions of plan value. We show that problems of interest are complete for a variety of complexity classes: PL, P, NP, co-NP, PP, NP^PP, co-NP^PP, and PSPACE. In the process of proving that certain planning problems are complete for NP^PP, we introduce a new basic NP^PP-complete problem, E-MAJSAT, which generalizes the standard Boolean satisfiability problem to computations involving probabilistic quantities; our results suggest that the development of good heuristics for E-MAJSAT could be important for the creation of efficient algorithms for a wide variety of problems. The First Trading Agent Competition (TAC) was held from June 22nd to July 8th, 2000. TAC was designed to create a benchmark problem in the complex domain of e-marketplaces and to motivate researchers to apply unique approaches to a common task. This article describes ATTac-2000, the first-place finisher in TAC. ATTac-2000 uses a principled bidding strategy that includes several elements of adaptivity. 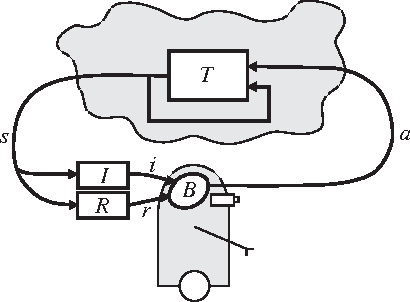 In addition to the success at the competition, isolated empirical results are presented indicating the robustness and effectiveness of ATTac-2000's adaptive strategy. Auctions are becoming an increasingly popular method for transacting business, especially over the Internet. 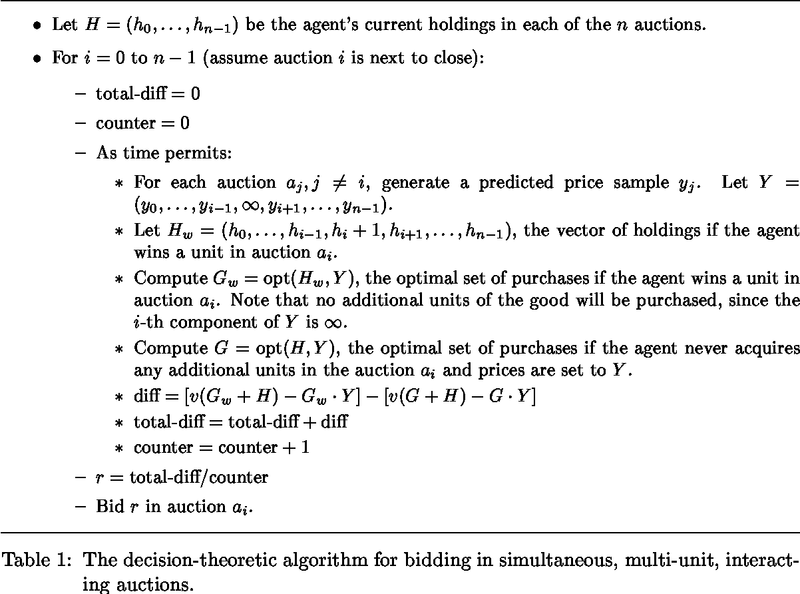 This article presents a general approach to building autonomous bidding agents to bid in multiple simultaneous auctions for interacting goods. A core component of our approach learns a model of the empirical price dynamics based on past data and uses the model to analytically calculate, to the greatest extent possible, optimal bids. 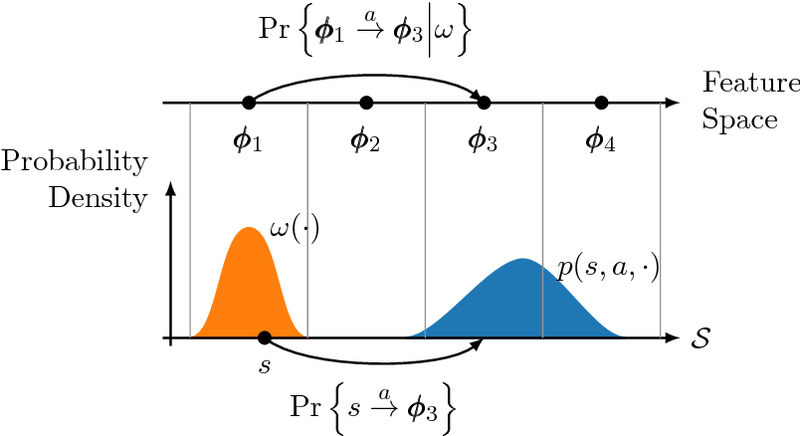 We introduce a new and general boosting-based algorithm for conditional density estimation problems of this kind, i.e., supervised learning problems in which the goal is to estimate the entire conditional distribution of the real-valued label. This approach is fully implemented as ATTac-2001, a top-scoring agent in the second Trading Agent Competition (TAC-01). We present experiments demonstrating the effectiveness of our boosting-based price predictor relative to several reasonable alternatives. 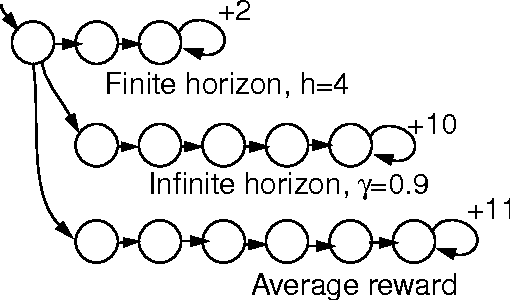 One key challenge in reinforcement learning is the ability to generalize knowledge in control problems. 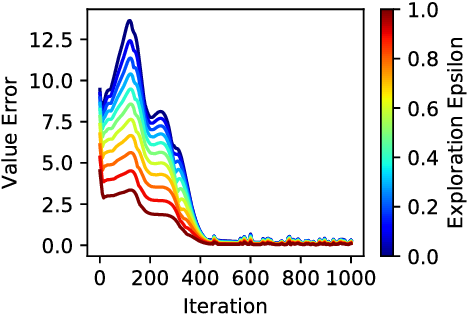 While deep learning methods have been successfully combined with model-free reinforcement-learning algorithms, how to perform model-based reinforcement learning in the presence of approximation errors still remains an open problem. Using successor features, a feature representation that predicts a temporal constraint, this paper presents three contributions: First, it shows how learning successor features is equivalent to model-free learning. Then, it shows how successor features encode model reductions that compress the state space by creating state partitions of bisimilar states. Using this representation, an intelligent agent is guaranteed to accurately predict future reward outcomes, a key property of model-based reinforcement-learning algorithms. Lastly, it presents a loss objective and prediction error bounds showing that accurately predicting value functions and reward sequences is possible with an approximation of successor features. On finite control problems, we illustrate how minimizing this loss objective results in approximate bisimulations. 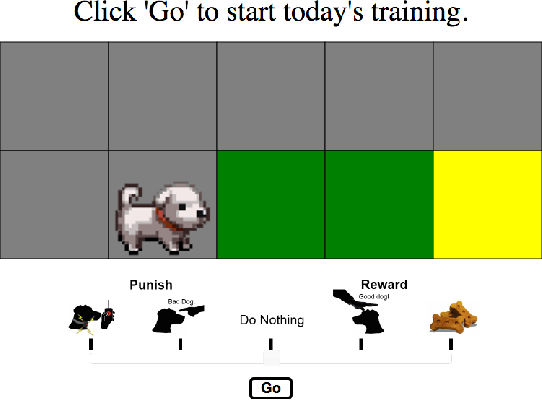 The results presented in this paper provide a novel understanding of representations that can support model-free and model-based reinforcement learning. We present an algorithm for learning from unlabeled text, based on the Vector Space Model (VSM) of information retrieval, that can solve verbal analogy questions of the kind found in the SAT college entrance exam. A verbal analogy has the form A:B::C:D, meaning "A is to B as C is to D"; for example, mason:stone::carpenter:wood. 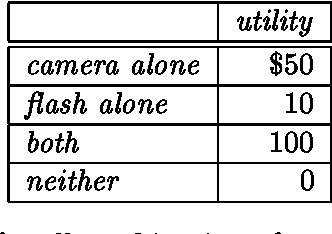 SAT analogy questions provide a word pair, A:B, and the problem is to select the most analogous word pair, C:D, from a set of five choices. The VSM algorithm correctly answers 47% of a collection of 374 college-level analogy questions (random guessing would yield 20% correct; the average college-bound senior high school student answers about 57% correctly). We motivate this research by applying it to a difficult problem in natural language processing, determining semantic relations in noun-modifier pairs. The problem is to classify a noun-modifier pair, such as "laser printer", according to the semantic relation between the noun (printer) and the modifier (laser). We use a supervised nearest-neighbour algorithm that assigns a class to a given noun-modifier pair by finding the most analogous noun-modifier pair in the training data. With 30 classes of semantic relations, on a collection of 600 labeled noun-modifier pairs, the learning algorithm attains an F value of 26.5% (random guessing: 3.3%). With 5 classes of semantic relations, the F value is 43.2% (random: 20%). The performance is state-of-the-art for both verbal analogies and noun-modifier relations. We show that the problem of finding an optimal stochastic 'blind' controller in a Markov decision process is an NP-hard problem. The corresponding decision problem is NP-hard, in PSPACE, and SQRT-SUM-hard, hence placing it in NP would imply breakthroughs in long-standing open problems in computer science. Our result establishes that the more general problem of stochastic controller optimization in POMDPs is also NP-hard. Nonetheless, we outline a special case that is convex and admits efficient global solutions. For agents and robots to become more useful, they must be able to quickly learn from non-technical users. This paper investigates the problem of interactively learning behaviors communicated by a human teacher using positive and negative feedback. Much previous work on this problem has made the assumption that people provide feedback for decisions that is dependent on the behavior they are teaching and is independent from the learner's current policy. We present empirical results that show this assumption to be false---whether human trainers give a positive or negative feedback for a decision is influenced by the learner's current policy. We argue that policy-dependent feedback, in addition to being commonplace, enables useful training strategies from which agents should benefit. Based on this insight, we introduce Convergent Actor-Critic by Humans (COACH), an algorithm for learning from policy-dependent feedback that converges to a local optimum. 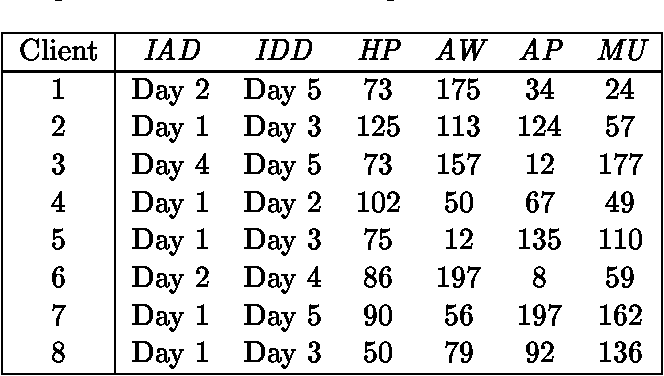 Finally, we demonstrate that COACH can successfully learn multiple behaviors on a physical robot, even with noisy image features.